Katherine M. Stauffer, 98, of North Huntingdon, passed away Wednesday, May 9, 2018 at her home. She was born June 24, 1919 in McKeesport, a daughter of the late Gustave and Anna Bock Schoeller. Prior to her retirement, Katherine was a nurse for McKeesport Hospital and a member of West Hempfield Church. She enjoyed crocheting, reading and cutting grass. In addition to her parents, she was preceded in death by her husband, Ralph Stauffer Sr.; brothers, Howard Schoeller and Walter Buddy Schoeller. She is survived by her son, Ralph Stauffer Jr. and his wife, Linda; daughters, Noreen Coyne and her husband, Wes, Mira Core and her husband, Max; sister, Louise Underwood; ten grandchildren; and 14 great-grandchildren. 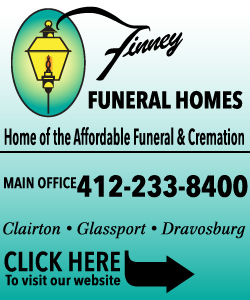 Friends will be received at the James W. Shirley Funeral Home, 176 Clay Pike, North Huntingdon, PA on Friday from 2-7 p.m. A funeral service will be held on Saturday in the funeral home chapel at a time to be announced. Interment will be private in Penn Lincoln Memorial Park. In lieu of flowers, donations may be made to Make A Wish Foundation or the West Hempfield Church. 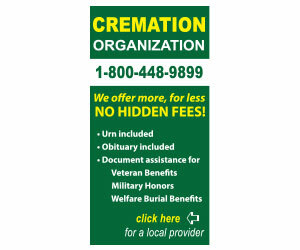 www.shirleyfuneralhome.com. "William R. Horgos" || "Robert G. Whirl"